Rock critics never liked Eagles founder and leader Glenn Frey. They didn’t like The Eagles much either. It didn’t matter that they were, arguably, the most popular band of the 1970s, winning Grammys and selling more records than Led Zeppelin and Fleetwood Mac. They partly despised him and his band because they were, in fact, too popular. Frey, 67, died Monday from complications of colitis, pneumonia and arthritis. Because most rock writers didn’t care for Frey or his laid-back, California harmony-kissed country rock, it was hard for them to shine a light on Frey’s powers and influence. 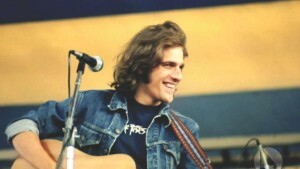 Frey was the most talented musician and songwriter in The Eagles. He was the heart and soul of The Eagles. Nobody cared more about the band than Frey which is why he was able to leave for a solo career in 1980, a move that basically broke up the band and left it dormant for 14 years. That’s why the band never would have reformed in 1994 for the “Hell Freezes Over” MTV concert and subsequent reunion tour without his involvement and blessing. The fact is, Frey’s death is surely the death of The Eagles forever. I’m guessing songwriting partner Don Henley will be the first to cop to it when someone asks him. Frey was the band’s leader but also its biggest cheerleader. He was the band’s superstar utility player who played both lead and rhythm guitar, keyboards, and bass. He was also a good drummer who picked up the sticks on many of his solo albums. He knew when to step back and let the others in the band do their thing. Frey was the guy orchestrating those glorious backing vocals and smooth harmonies the band is celebrated for the world over. Frey was the guy who told his bandmates in Linda Ronstadt’s backing band that they needed to leave and form their own group. Frey also knew the band desperately needed an injection of rock and roll to punch up their country soul sound in the latter half of their career and went after guitarist Joe Walsh. Meanwhile, he and Henley kept on writing hit songs and penned American rock anthems. “Hotel California.” “Life in the Fast Lane.” Finally, after laboring over “The Long Run” for nearly a year, Frey’ had had enough. It had gotten too serious, too hard. Nobody was having fun anymore. And Frey was all about having fun. Go back and listen to the lyrics of the prophetic 1975 song, “After The Thrill is Gone.” That’s why The Eagles broke up. That’s why Frey left for a solo career. So let the rock writers say what they want. Or, as many will, let them skip a tribute all together. Glenn Frey’s influence and work ethic speaks for itself. Just listen to the songs. Steven Ward is a freelance music journalist, and has had music writing published in Classic Rock, Las Vegas Weekly, popmatters.com, Harp, Blurt, rockcritics.com, Boston Phoenix, Offbeat and Louisiana Life. He is the managing editor of The Clarion-Ledger in Jackson, MS.